We have seen so much snow in the last couple of days, winter at last! So, what have you been up to this past week? When I bought the yarn for this project I didn't look, and when I unpacked the yarn, the ball was nice and big so I assumed it was a normal, 100g ball of sock wool. See it? The end of the ball! And this on a stash-busting project -URGH!!! So after tossing and turning about what I should do (it is a b'day gift for Kay which comes up soon after all) I sat in front of the PC and made an order through my LYS last night - well what was I to do? I am a bit annoyed about it as I really didn't want to have to order anything, but I should have paid better attention! I went scrolling through Ravelry :O, to make my purchase worth while! 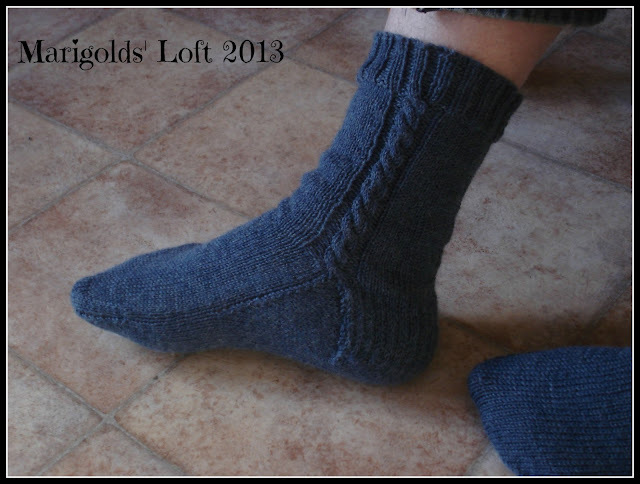 I am not so sure about these though, they look awfully wide, I cast on with the exact wool and needle size recommended, so I hope they will turn out well, will be able to tell you a little more next week. 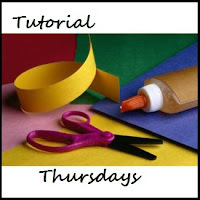 If you click HERE you will get to the photo-tutorial pattern which I created last year. - Enjoy! 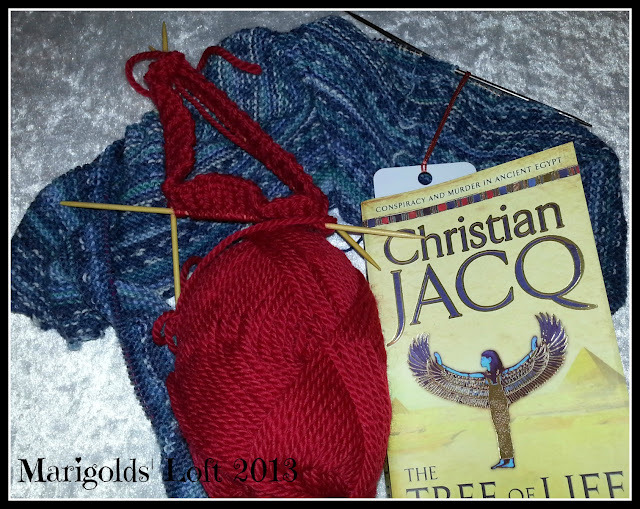 Oh.....I forgot to mention: I am still busy with "The Tree of Life" and am really enjoying it. I can't wait to start with our new Book-Club choice though! I would like to warmly invite you to join in the 18th edition (already I can't believe it!) of Tutorial Thursdays tomorrow. I would love for your to come past and strut your stuff. I will be showing you a new recyclable craft how-to. P.S. do visit Ginny and Tami for some awesome handmade goodness! Ugghh sorry about the yarn and I think your right no way should you pay postage for just one yarn. It is amazing how the knitted birthday gifts add up isn't it. 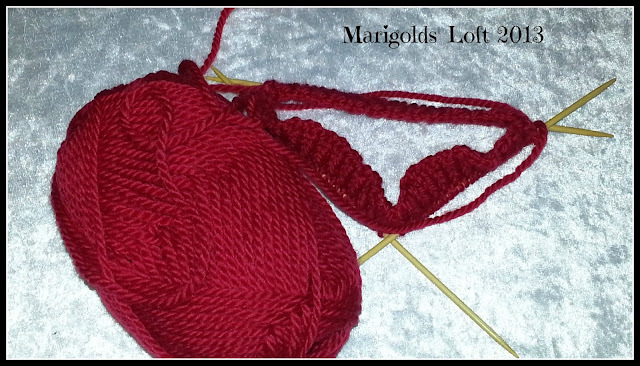 Love the red for the socks and hope it works out ok.
Oh good, let me know if they work for you! 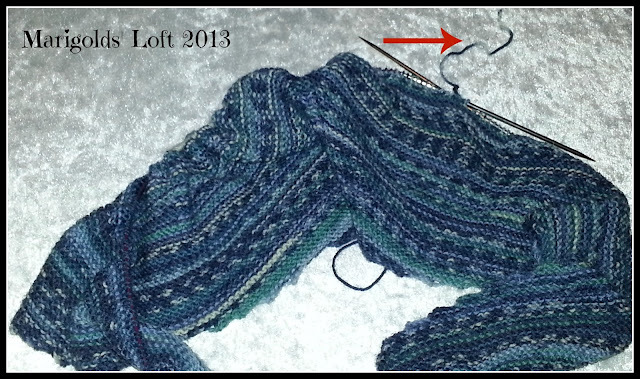 I really enjoyed your post -- I am *so* in need of stash busting projects, and also just some time to knit. Some of the yarn in my stash basket has a project planned for it already, but I haven't been able to cast on. Snowy days seem like the perfect time to knit it up, but here in NC we haven't had any real snow to speak of. There's a chance in the forecast for the weekend, though! 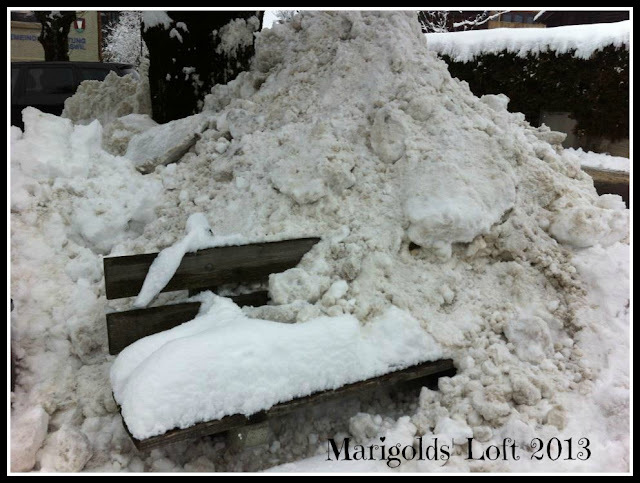 Snowy weather is the perfect weather to have a project sitting on your lap, I hope you manage to get around to yours. Ich hoffe, du kannst das Tuch bald beenden. ist ja Pech, dass die Wolle nicht gereicht hat. Dein Ror für die Socken ist aber auch schön. Liebe Grüße. Sabine. Sorry you ran out of yarn but buying more was the best choice since the shawl is lovely. Oooh! I love the socks! Really beautiful! Your shawl is lovely hope the yarn matches! Aww, you had to buy the next ball of yarn, you had no choice! But I understand your frustration, I too am trying to destash, and I'm so nervous about if I'll have enough for each project! Yes, I totally understand the nervousness, I do buy extra balls when I buy for projects, but I bought for some knits for my girls who are growing like weeds right now so I hope the projects will still fit! Oh bummer about that tail coming up so quickly! But what a great looking bunch of projects. Haha - well, of *course* you had to make it worth your while! Glad I'm not the only one who thinks like that! :) Love those socks! Nice to know I am not alone ;) although this time hubby did understand! Thanks for sharing the lint to the pattern!